I was hesitant to try a self-editing tool, but when I finally did a few months ago, I was pleasantly surprised. Since ProWritingAid offers their super powerful free tool for free, I have been sharing it with all my readers. The Q&A that follows will get you off and running quickly if you decide to give it a try (and it takes about 5 seconds to try it for the first time). Don’t miss what the team shares about Word Explorer, a feature you might miss if you don’t know it is there– so good!! Some of the links on this site are affiliate links for products/services we think may be of interest to our readers. Beyond Your Blog is a participant in the ProWritingAid Program as well as other affiliate programs. Our full disclosure policy can be found here. Q: It took me a LONG time between learning about self-editing tools and actually trying one, due to my concern that it might be confusing. Once I tried it, I was hooked! What would you say to writers who are using a tool like ProWritingAid for the first time? A: ProWritingAid couldn’t be simpler or more intuitive to use. The editing tool itself offers an easy-to-use interface that lets you simply click on any report you want to run. There’s plenty of information with each report so you know more about the technical edits being targeted and why it’s important to your writing. Reports only show you suggestions for improvement; you decide what changes you want to make. Q: I bet there are some readers who have articles that need to be edited right now. Let’s do some hand-holding. 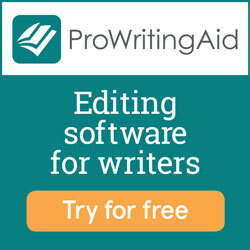 Since ProWritingAid is free, tell them how they can get started and get their edits in a matter of seconds. A: It’s free to sign up and free to use, with no obligation. Simply go to ProWritingAid.com and register, then click on the Editing Tool at the top menu. This is the meat of the software program. You can choose whether to paste your text into the editor, upload a document, or run a pre-loaded sample first to see how it works. Check out this quick video on getting started. Let’s say you upload the blog post you just wrote. An easy way to get started is to run a Summary Report that will tell you how your writing stacks up to well-written published works. Each of the style and grammar edits that show up on the Summary Report come with explanations on why they’re important. You get fun little “thumbs up” or “thumbs down” emojis if you hit or miss the target. The Summary Report shows you where your writing needs work and where its strengths lie. The remaining reports get into the nitty gritty of suggestions for improvement. Q: When I pasted my first article into the tool and got my reports back, I read through the summary report first and then worked through the more detailed reports for each type of edit. Tell us your thoughts on the most systematic way to use ProWritingAid to get the most out of the tool. A: That’s a great way for a comprehensive edit when you need one. As you use ProWritingAid, you learn how to identify how and where to strengthen your writing, and you’ll also learn where your weaknesses are. Every writer is different, but I find I work best when I choose one issue from the summary report and focus on just that for an entire chapter. For example, I’ll make one session just about “adverb eradication” and then go through as much of my text as I can on just that element. My brain gets into “strong verb” gear and it gets easier as I go along. If you try to cover every tip for every paragraph, it’s easy to lose focus. Too many writers have very strong beginnings followed by mediocre middles and terrible endings simply because they have run out of editing steam. So, I choose small bite-sized goals and go from top to bottom. 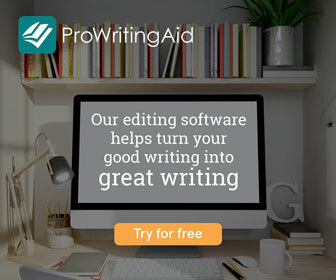 Q: On my product and service recommendations page, I say that ProWritingAid is not your mother’s spell check, because it is SO robust and almost human-like in what it catches to improve your writing. Can you give us an example of something this tool will catch that normal spell checkers miss? A: Do you have an acronym you use often that the spell checker in your word processing program keeps auto-correcting? You can set up your own patterns to search for in the Acronym Report. Let’s say you often write blog posts about HIPAA compliance. It’s easy to type HPAA (leaving out the “I”) when you’re flying along, and this usually doesn’t come up in regular checker programs. With ProWritingAid, you can customize your report to identify those instances and show you a message like “You misspelled HIPAA again.” You can make the reminder message say anything you want – the software is completely adaptable to your own writing needs. Q: If someone is using ProWritingAid but only has limited time to edit their article, what would be the 3 or 4 features they shouldn’t miss? A: Start with the Grammar Check, Vague and Abstract Words Check, Writing Style Check and Sticky Sentence Report. Then consider running one or two more reports based on your known weaknesses. Do you overuse or repeat certain words or phrases? Perhaps you’re worried about sounding too “corporate” and not readable enough. These are all extra reports you can run to help you quickly and easily find ways to improve your writing. Q: I love that not only does ProWritingAid show me where I can improve, but in some cases it actually suggests what changes I can make. Can you give us an example of areas where the editing tool will give writers specific suggestions? A: The editing tool will find wordy phrases where you can be more succinct, so it will suggest changing “a small number of” to “few”, or “making a decision” to “deciding”. It will also point out when you’ve used a fancy word like “identify” instead of just saying “find”, so that you can simplify your language easily. Q: Is there any feature you feel is underutilized – one that we might glance over, but should spend some time exploring? A: A lot of users aren’t taking full advantage of the Word Explorer. It is a great resource for making semantic leaps and finding the perfect vocabulary. In the online version, just double-click any word and its synonyms will pop up. Then, in the bottom right corner of the pop-up box, you can click on “word explorer” to delve further. The Word Explorer offers alliterations, synonyms, rhymes, collocations and anagrams for your word, as well as phrases, clichés and famous quotes that include it. This allows you to find inspiration and build new ideas based around the words that are already in your text. Q: I love the free version, but tell us what the Premium version offers. When is it time to budget for the full ProWritingAid experience? A: The free online version limits how many words you can check in a single session. With the Premium version, there is no word limit. If you’re writing anything of length, the Premium version saves you a lot of time copying and pasting parts of your work into the online editor. You can also use the handy add-ins for Word, Google Docs, Chrome, and Scrivener. The add-ins let you run ProWritingAid right from the application, so there’s no need to leave and go to the online version. Finally, some writers find the Premium version’s Plagiarism Check a life saver. When you’re researching articles, blogs or other content, you can use this check to protect yourself from inadvertently using someone else’s words. This also comes in handy when you’re writing fiction and have someone else’s book stuck in your mind. Q: What’s next for ProWritingAid? A: We have lots in development! In particular, BeyondYourBlog readers might be excited to know that we’re working on a new report to help improve SEO and keyword usage within your document. Stay tuned!